Background: Exposure to microgravity (MG) leads to many varieties of physiological alterations, including bone loss. 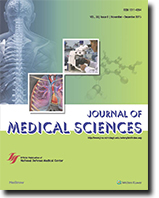 Most studies concur that the impaired osteoblast differentiation of mesenchymal stem cells (MSCs) plays an important role in this bone loss. However, the detailed signaling mechanisms underlying the MG-induced bone loss remain to be further clarified. Materials and Methods: We utilized a rotary cell culture system (RCCS) to study the role of transcriptional coactivator with PDZ-binding motif (TAZ) in simulated MG. Cells were obtained from the calvarial bone of 5-d old Balb/c mice littermates. The phenotype of the MSCs was confirmed by positive expression of Sca-1 and CD29, and negative for CD45. MSCs were cultured in osteo-induction medium in order to promote differentiation towards osteoblasts (OSTs). Results: Upon exposure to MG for 7 days, the abundance of Runx2 was significantly reduced to 0.33 and 0.2-fold in MSCs and OSTs, respectively. In contrast, PPARγ2 was significantly enhanced to 3.8 and 3.0-fold in response to MG in MSCs and OSTs, respectively. TAZ mRNA is decreased to 0.22- and 0.08-fold as compared to normal gravity (NG) in both MSCs and OSTs, respectively. Similarly, the TAZ protein level was also significantly decreased to 0.4-fold in MSCs and to 0.2-fold in OSTs. Moreover, we showed that MG indeed disrupted the interaction of TAZ and Runx2, which disturbed osteoblast-related gene expression. Conclusions: We show for the first time that the TAZ is associated with MG-induced impairment of osteoblast differentiation. Our results also suggest that TAZ plays an important role in MG-induced bone loss. Background: The aim of the present study was to determine the prevalence, profile, and severity of dementia and the relative impact of these factors on caregiver burden in a selected population of persons with dementia and their caregivers. Methods: A convenience sample of 100 outpatients and their family caregivers dyads who presented to a memory clinic in one medical center during one consecutive year were recruited. The diagnosis and severity of dementia were determined according to the Diagnostic and Statistical Manual of Mental Disorders, Version IV, Text Revision. The clinical dementia rating scale, mini-mental status examination, and Clinical Global Impression of severity were also administered. The caregiver strain index was used to assess caregiver burden. Results: Caregiver burden is related to the severity of dementia, impairment of cognitive function, and severity of neuropsychiatric symptoms. The caregivers who were younger, nonspousal family members, had a poor relationship with the dementia patient, and psychosomatic symptoms after caring for the patient, or provided longer hours of care-giving, experienced greater strains. Hiring foreign helpers was not associated with a lower caregiver burden. Conclusions: Greater caregiver burden is associated with several factors related to persons with dementia and their caregivers. A possible over-burden on caregivers should be of concern in Taiwan. Hiring foreign helpers was not associated with a lower caregiver burden. 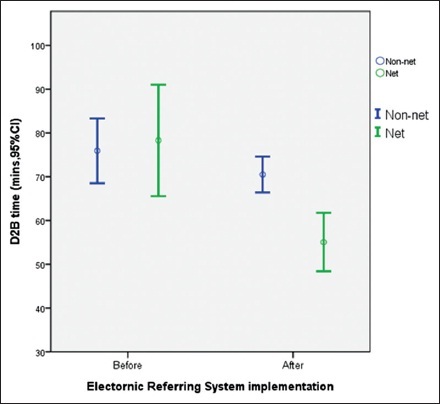 Introduction: The electronic referral system (ERS) in Taiwan was designed to improve the efficiency and quality of patient transfer through a coordinated system of care intervention by imposing mutual responsibility on medical network systems. Information regarding the effects of ERS implementation on the door-to-balloon time (DBT) in transferred patients with ST-segment elevation myocardial infarction (STEMI) is scant. Methods: Data were retrospectively collected from the emergency registry database at Tri-Service General Hospital, Taipei, between January 2012 and February 2015. Patients were categorized into before and after groups depending on the time of ERS implementation. Baseline demographics and duration at the Emergency Department were recorded and analyzed. Results: We recruited 81 and 106 patients for the before and after groups, respectively. The mean age of patients was 57.7 years and 58.4 years (P = 0.704), respectively. Patients were predominantly men in both groups (92.6% vs. 86.8%, P = 0.203). The door-to-electrocardiography and door-to-catheterization laboratory time differed significantly between the two groups. The results of the general linear model analysis for STEMI patients from networked hospitals revealed that ERS implementation is an independent risk factor for shortened DBT. The average hospital stay, hospital death, and 3-month mortality or major adverse cardiac event differed nonsignificantly between the two groups (11.1% vs. 14.2%, P = 0.823). Conclusion: ERS implementation reduced the DBT for transferred STEMI patients. A coordinated system of care intervention can improve the efficiency of managing transferred patients with STEMI. Coronary artery stent fracture (SF) occurs in drug-eluting stent (DES) era but recurrent and multiple DES fracture was rare. We report a case of recurrent and multiple-site SF and review the literature regarding the prevalence, possible mechanism, and management of recurrent SF. If recurrent SF occurs, the deployment of an alternative DES, except sirolimus-eluting stent, is the option of successful management. 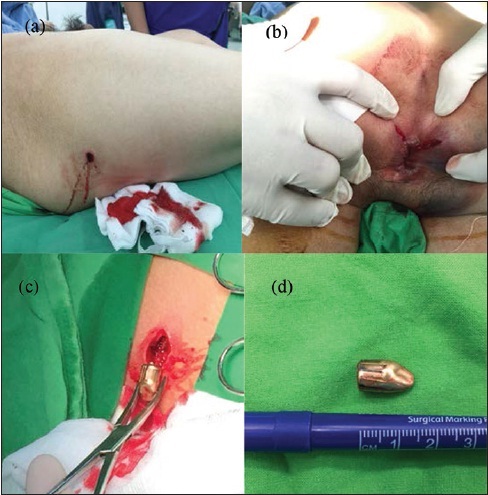 We report on a 17-year-old man who underwent prophylactic fixation of the incomplete subtrochanteric femur fracture produced by a low-velocity gunshot. 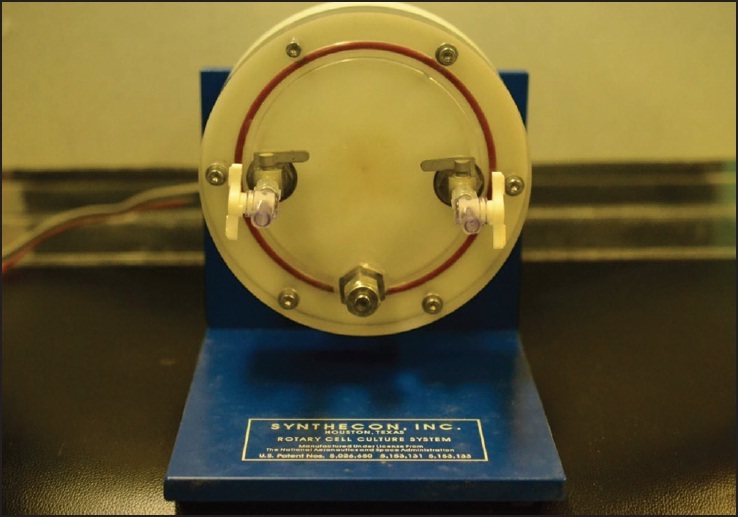 The subtrochanteric region is a high-stress site. Therefore, to avoid progression to complete fracture and displacement requiring secondary surgical stabilization, we used a proximal femoral nail for prophylactic fixation of the incomplete subtrochanteric femur fracture. The patient was able to walk and bear weight on the injured side immediately after surgery. At the 1-year follow-up, the patient was pain-free with a full range of motion of his right hip and had a bony union. 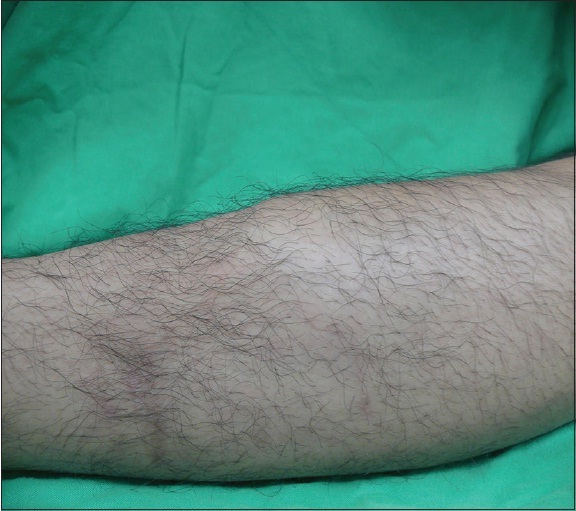 We present a case of a patient with hernia of anterior tibialis who was treated operatively. Muscle herniation through a fascial defect is rare, which requires repair of fascial defects. We performed a simple closure of fascial defect. A fasciotomy was proceeded to complication of acute compartment syndrome developed after the operation. The sequelae as weakness of dorsiflexion of ankle and big toe were present. 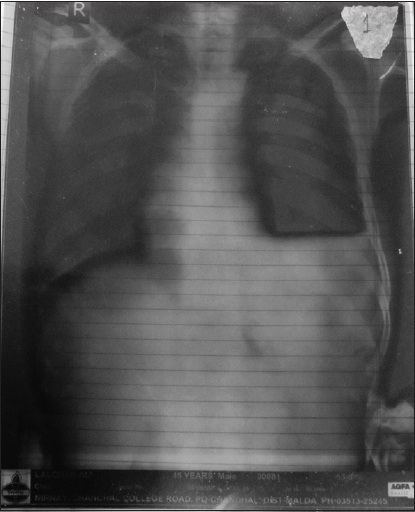 We report a 50-year-old man was brought to our Emergency Department due to fever and dyspnea for 2 days. The patient had difficulty in walking and was bed-ridden in the past 5 days due to massive right inguinoscrotal hernia. He had difficulty in micturition in the past 2 days. He was febrile with a body temperature of 39.5°C, a blood pressure of 82/50 mmHg, a pulse rate of 122 beats/minute, and a respiratory rate of 22 breaths/min. Physical examination showed left-sided costovertebral angle knocking tenderness and a large right-sided irreducible inguinoscrotal hernia. Initial laboratory examination revealed abnormalities as follows : l0 eukocyte counts 28.8 × 10  /μL; procalcitonin >200 ng/mL; blood urea nitrogen 77.7 mg/dL; and creatinine 10.6 mg/dL. Computed tomography (CT) of abdomen displayed a large right inguinal hernia containing small and large intestine with compression on junction of bulbous and pendulous urethra. Coronal view of CT reviewed swelling and fat stranding of left kidney which indicated acute pyelonephritis. The primary lymphoepithelial carcinomas account only 0.4% of all salivary gland malignancies and most of them occur in parotid glands. This disease correlates with activities of Epstein-Barr virus and the microscopic pathological presentations mimic the finding of nasopharyngeal carcinoma. Thus, the metastatic lymphadenopathy of parotid nodes from pharyngeal carcinomas should be considered first, especially in the higher prevalent area such as arctic area or South-east Asia. After exclusion of a metastatic disease, the diagnosis of primary lymphoepithelial carcinoma can be made. Magnetic resonance imaging is the examination of choice if a parotid malignancy is suspected. Surgical excision of malignancy with postoperative radiotherapy is considered as the better treatment strategy. We present a medical history of the 26-year-old woman who was diagnosed with primary lymphoepithelial carcinoma of the parotid gland and showed no evidence of recurrence after this treatment strategy. Cryptococcus neoformans is encapsulated yeast primarily affects immunosuppressed and HIV infected individuals. Extrapulmonary dissemination and involvement of other organs are rare in immunocompetent persons. Here, we describe a case of disseminated cryptococcosis in an immunocompetent individual manifested as pleural effusion and meningitis.